“We don’t smoke, and we don’t chew,” begins a wise old ditty. 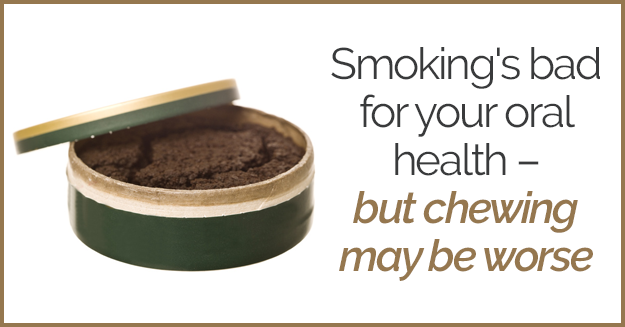 Smoking and chewing tobacco are unhealthy habits, but they can be especially damaging to your oral health. And of the two, to many people’s surprise, chewing may be the more harmful choice. Chewing tobacco, or smokeless tobacco – or sometimes called “snuff” – generally contains all the dangerous chemicals found in smoking tobacco and can cause the same problems – and worse ones. Three to four times more nicotine is absorbed from smokeless tobacco than from cigarettes and, because it’s swallowed, the nicotine remains longer in the blood stream. 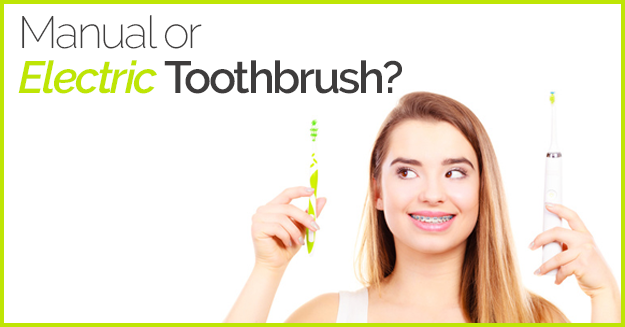 Is an electric toothbrush preferred over a manual one? We think it is. Nearly all dental experts agree that optimal oral health requires brushing your teeth thoroughly twice a day. Our office takes this recommendation further and urges our patients to clean their teeth with a sonic toothbrush. 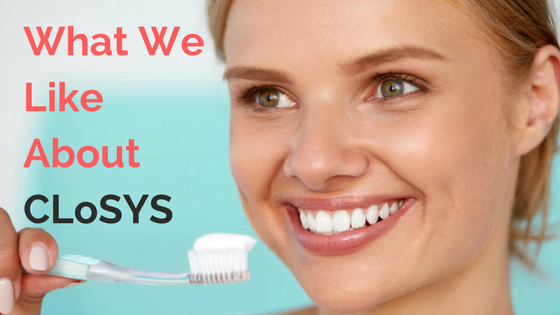 We especially like Philips Sonicare products. It may surprise you to know that manual toothbrushes with nylon bristles were not sold until 1939. The first electric toothbrush wasn’t produced until 1954, and sonic toothbrushes, with ultra-high vibrations, came on the market in the 1980s. Today, manual toothbrushes are little changed, but sonic, and now ultrasonic toothbrushes, have added power and features that help keep your teeth and gums even healthier.